A project for any time period or civilization! 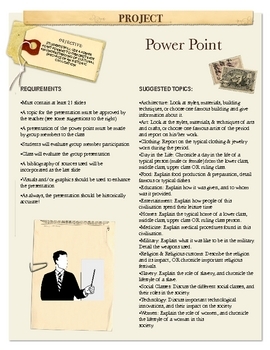 This project asks students to create a Power Point on some (or multiple) aspect(s) of a civilization! 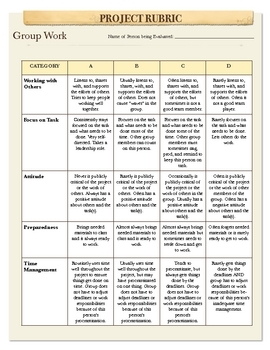 The project includes objectives, requirements, potential topics, and a grading rubric which evaluates written and creative components. 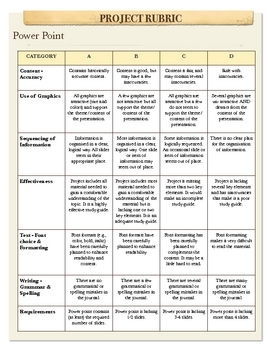 It also includes a group work rubric for group scenarios. Project. Power Point. Group Work. Project: Power Point by The Lady Lion is licensed under a Creative Commons Attribution-NonCommercial-ShareAlike 3.0 Unported License.